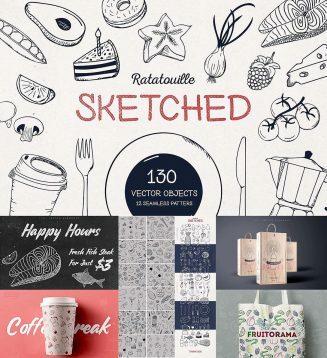 Set of 130+ sketched vector elements and 4 textures. It can be incredibly useful for your logos, banners, apparel design, blog posts, hero images and package design. Tags: cafe, coffee, food, fruit, pattern, restaurant, sketch, texture, vegetables.